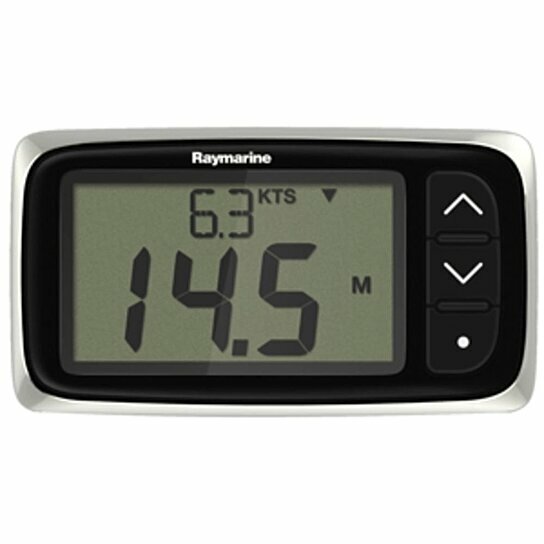 The Raymarine i40 Bidata offers all of the functionality of the Depth and Speed instruments combined in a single space-saving display. Like the other i40 Instruments, the Bidata is available as a complete system with depth and speed transducers or as a display-only solution for remote readout of depth and speed at another location. The i40 Bidatas depth capabilities include easy-to-read displays of current speed, maximum speed, average speed, distance log, trip log as well as water temperature. Bidata also offers depth-related alarms and adjustments including shallow depth alarm, deep depth alarm, shallow anchor alarm, and deep anchor alarm, and depth offset controls. Its speed capabilities include displays of current speed, maximum speed, average speed, distance log, trip log as well as water temperature.